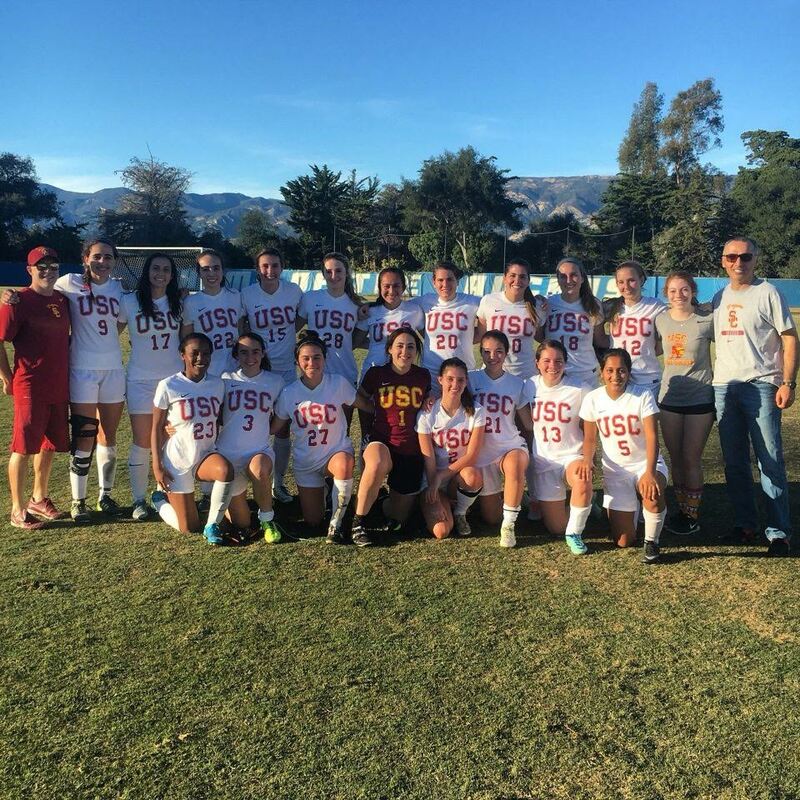 The West Coast Soccer Association is proud to announce the University of Southern California Women Club Soccer Program as Team of the Week. 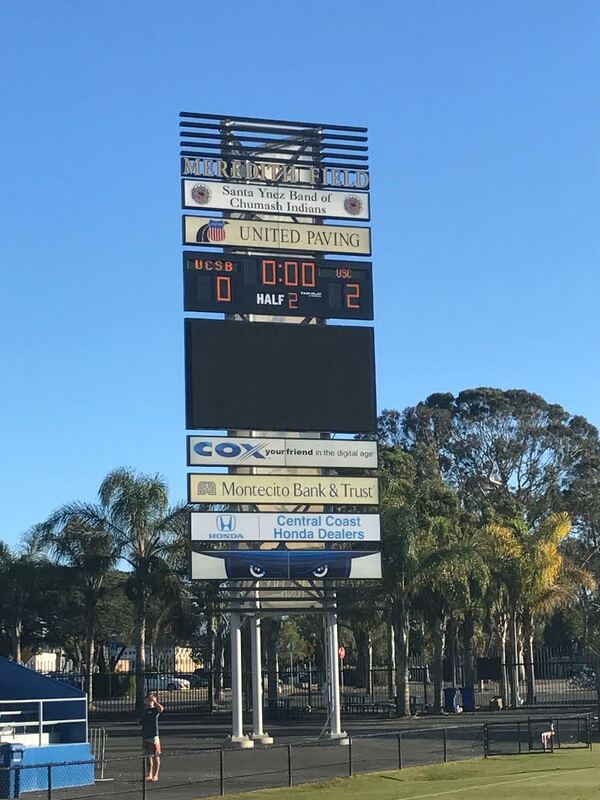 USC traveled to Santa Barbara to face reigning NIRSA National Champion UCSB coming away with 2-0 victory!! 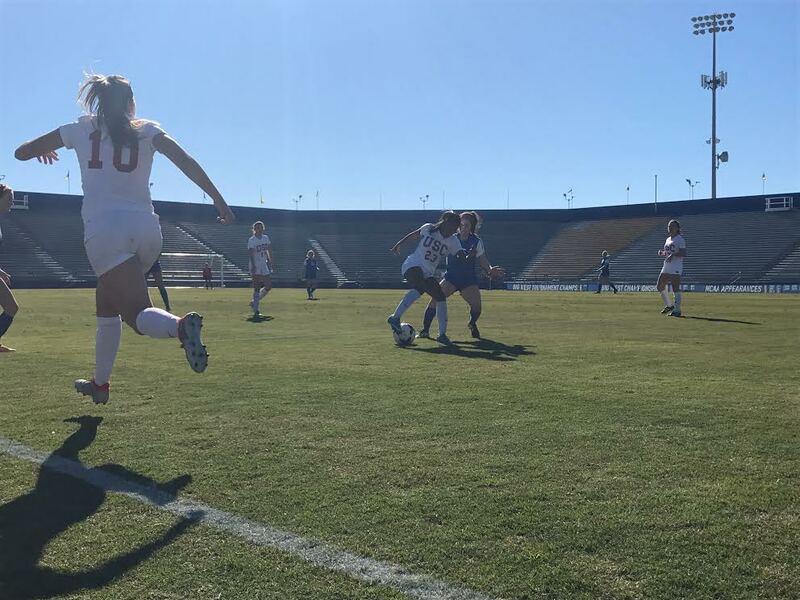 The SC Women's Club Soccer team knew their first game back in action would be a tough one, against a historically closely fought opponent as well as the reigning NIRSA National Champions, the UCSB Gouchos. After traveling to Nationals themselves, SC Women's Club Soccer were ready to come out strong and begin the spring season with a win. The two goal scorers - Maria Cristina "Maki" Guizado (#10) receives a pass from Peyton Walker (#23). New member Peyton Walker (#23), who just became a member of the team after SC Women's Club Soccer tryouts the past week, was also able to net her first goal of her SC Women's Club Soccer career in her first ever game, finishing a great cross from Sophomore Amber Miller. Her finish brought the score to 2-0 just before halftime. SC Women's Club Soccer went into halftime with a 2-0 lead, and in the second half were able to stay strong defensively to both hold the lead, as well as continue to generate opportunities offensively in order to finish the game strong. The defensive line had an incredible game, coming up with some big stops and clearances. It was a true team effort from start to finish. Team Captains and seniors Julia O'Flaherty and Caroline Vance were ecstatic at the grit, hard work, and determination shown by their teammates, and were both happy to begin to close their college club soccer careers with a big win over a team which they have competed closely with for the last four years. Caroline Vance, a Santa Barbara native, was quoted after the game as saying "It's always great to come to UCSB and win, especially as a second semester senior against a tough team." Julia O'Flaherty said "We played and connected extremely well with our players both new and old, and we are so excited to see where the rest of this season takes us." Coaches Ercan Ozdemir and Cemre Ayhan both had one thing to say: "We are proud of our girls!"